On this day, 14 July, 1789, it all went pear-shaped for Louis XVI, absolute monarch of France. Just three weeks earlier, the deputies of the Third Estate had sworn a solemn oath of Le Jeu de Paume not to disband until a French constitution had been formed. “We have the right to self determination” they declared, enunciating the new teachings of 18th century French philosophers. 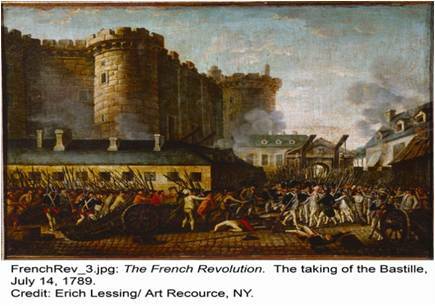 The people of Paris agreed and to make sure Louis got the point, they stormed the Bastille – a state prison representing all that the monarchy stood for. It turned out to be one of the momentous historical events in the fight for freedom and established France as one of the cradles of liberty. History, as we all know, has a way of repeating itself. Now, far be it from me to compare the present troubles of the pension fund industry with those of 18th century France, but perhaps there are some take-away points. For instance, pension fund trustees have always been scrupulously careful to follow the advice of the various Anciens Régimes and, to date, more modern views of how you can manage asset and liabilities have met with, how shall we say, un peu de résistance. The tide is turning. Trustees in the UK and continental Europe are taking the oath of Le Jeu de Paume. They want a new order in which they have more control over their destiny. Swaps, Duration, Negative Convexity, CSAs and ISDAs are rapidly entering the Trustees’ lexicon. With the real yield still in the zone (1.51%) and prêt-à-hedger available for all, there’s time to avoid the last bit of the Revolution*. Peut-être. So perhaps we should have a competition for the best modern day "Marie Antoinette" who is said to have said "Qu'ils mangent de la brioche" ("Let them eat cake"). More seriously, what trustees still havent got is the need to invest sustainably. They cant do it when markets are going up (cause they are "making too much money"), they cant do it when things flatten off ("we dont know whats happening") and they cant do it when things have gone belly up ("we have more important things to do").